Big news out in Little Valley, lots of proposals on the table to help keep Southern Utah growing, and much more happening in every corner of the county. Check out what is new down below and if you know anybody looking to buy or sell a home, invest in real estate, or has any questions at all, let me know and I can help them get started. Crimson Corner- retail complex on the corner of 3000 E. and Crimson Ridge Dr. will have 8 retail spaces. Dirt is being moved and construction will begin soon. A café and a bakery have already signed, with more in the works. 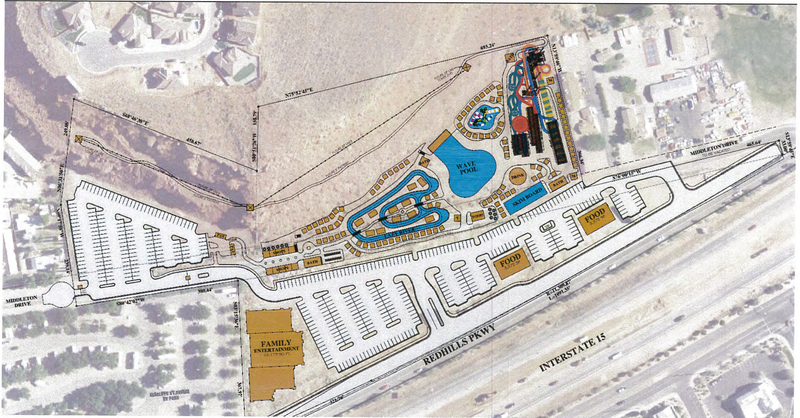 New park in Little Valley- across the other side of 3000 E., on Crimson Ridge, will be a brand new park. Zeppes- moved their location from Sunset Blvd. to 700 S. down the street from Harmons where Roy’s Pizza used to be. Oral & Facial Surgery Institute- they are building a new office on Riverside just west of the Post Office. Dirt is being moved and construction will begin soon. River Front Medical Center update: Construction end date is projected for July 1st, and most of the building is already full. Desert Pain, St George Orthopedic Spine, and FIT Physical Therapy are a few of the businesses that will be going in. More to come soon! Best Western is now open! Kenworth Truck Sales Company– Land is purchased for a new 20,000 square ft. sales, parts, and service facility. No start date confirmed. Desert Hills Plaza- 20,000 square feet of retail and office space along with 54 townhomes across from Desert Hills High School. So far they’ve got KB Express for the gas station, 1 franchise signed, and another one is close. I’ll post more when I know more! Commerce Pointe- the newest development being created in town is now underway! Exit 6 will be getting a big retail development across from Black Bear Diner and McDonalds. Maverick is currently under construction on the corner and more is soon to come. My Place Suites– now under construction soon right behind the Culver’s restaurant down by the Convention Center. Findlay car dealership– under construction. Joule Plaza- new development across the courthouse will feature 197 luxury apartments and 19,000 sq ft of retail/office space. Will be finished in 2019. Green Gate Village- This plaza has been completely revived and it is such a cool downtown spot. Scout Cloth, Chef Alfredo, Twisted Silver, The Barber, and My Little Moon are now in business there. Café Sabor– 290 E. St. George Blvd (where Wagon Wheel used to be). Now OPEN. Jamba Juice- Now OPEN in front of Lowe’s. Pieology- Now OPEN and it is absolutely worth the long line! Target- remodel is under construction and will be finished soon. Part of the remodel is a new Starbucks inside. The last spaces have been filled. One of them is My Wireless Doctor which is a phone screen repair business. The other is an Urgent Care. They are both now open! Beans & Brews– now open! Orange Peel- now under construction. Stone Canyon Eye Care– under construction. Coming soon! A new building just broke ground for more businesses to come! Promenade at Red Cliffs- Love your bath & body- new store next to Durangos. They have bath bombs, bath salts, lotions, candles, and pretty much anything else that women love. It’s now open! Red Cliffs Mall- H&M coming to the Red Cliffs Mall! This could be big news for the mall. Construction should be underway soon. 700 degrees pizza- opening in May! Taco Bell- on Red Cliffs Dr. down from Stadium 10. Under construction. Pine View 10 Plaza– a new retail building with 2 spaces. T-Mobile is now OPEN and Brent’s Pharmacy is just about there! Sienna Hills Commercial complex- Black Bear Diner is under construction and more businesses will follow suit. Stay tuned! Mountain America Credit Union- now open! Simister Ortho and Riverside Dental– will break ground on a building next to Mountain America and Lin’s. No timeframe confirmed yet but this is great news for people out in the fields. n fall of 2018, high school fall of 2019. Mountain America Credit Union- building across the street is nearly complete and will open soon. LA Quinta Inn & Suites- now open! Legacy Ridge Apartments– Under construction. Next to Rebel Creek off Foremaster and Riverside Dr.
We have had 768 residential building permits pulled so far this year. We have a large number of lots being developed right now so we should be seeing more and more come available the next few months. Here is what was recorded in the month of April! If you’d like a plat map of any of these new developments, please let me know!